NEW! BUY Ugly Produce Is Beautiful Puzzles! Support the cause! ​Artichoke Floral 500 Piece Puzzle features stunning image by famous foodie and photographer Sarah Phillips whose organization Ugly Produce is Beautiful is working hard to educate consumers and reduce massive food waste. ​These 300 piece puzzles by artist, Sarah Phillips known for food photography, depicts colorful fruit and vegetable collages. 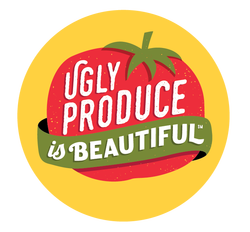 The Ugly Produce is Beautiful℠ (UPIB) Educational Campaign was started in January, 2016, by food expert and entrepreneur Sarah Phillips. ​We seek you to JOIN US to help us achieve our goals. ​​​​We also PARTNER with like-kind ugly produce and food waste warriors! This ​is a global movement of producers, retailers, restaurants and consumers ​to create awareness and revolution in the food industry​ to reduce food waste and pollution. One of the greatest crimes against the environment that few know about, is our practice of throwing away up to 40 percent of our perfectly good fruit and vegetables in the United States just because they do not meet cosmetic standards. 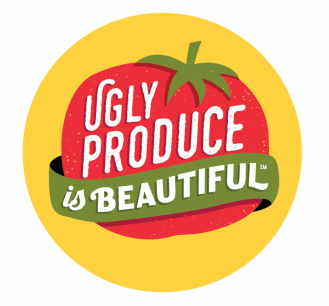 Ugly produce is part of our larger American food waste problem, although it occurs worldwide. Americans are throwing out the equivalent of $165 billion each year - from farm to fork - ugly produce and uneaten food ends up rotting in landfills as the single largest component of U.S. municipal solid waste where it accounts for a large portion of U.S. methane emissions. And all those inputs used to produce that food - soil, water, fertilizers, and human labor - are also wasted! Our goal is to help you take action and buy ugly produce (rather than our just talking about it) by making you aware of it through photography, events, recipes, how tos, and tips (in conjunction with my encyclopedic CraftyBaking.com site, started in 2000). The pressure from American grocery stores and supermarkets to only accept “perfect” produce because of our prevailing agricultural standards and Western cultural beliefs about beauty and perfection leads to a huge amount of produce going to waste, simply because it’s not aesthetically pleasing. ​Ugly produce is safe to eat, but it is usually misshapen or has minor bruises. It can be larger or smaller, or even have inconsistent coloration or texture than we demand. We're not talking about rotten or moldy produce or that which is unsafe to eat. With 50 million Americans suffering from hunger each year, there is a need for more and better food access. Why not utilize the massive quantity of food that is wasted because it doesn’t look aesthetically pleasing, but is still nutritious and perfectly good to eat? How about we all become more conscientious about not wasting food we shop for, prepare, store, and eat? ​Did you know there are TEN THINGS TO DO WITH BANANA PEELS? 96 percent of U.S. consumers report buying bananas once a month. Most of those peels end up in landfills, where they produce methane gas, a greenhouse gas 21 times more potent than carbon dioxide, as they rot. According to the Environmental Protection Agency, uneaten food accounts for 20% of methane emissions, which are a major contributor to global warming. This potato may look deformed to you, but it's perfectly good to roast and so nutritious! Heirloom tomatoes, once considered to be ugly produce, are now sold in supermarkets! 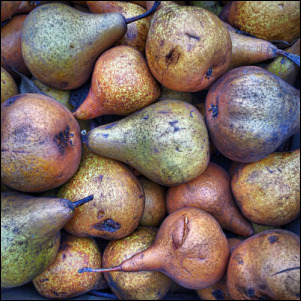 These pears from the farmer's market have bruises all over, but they're ripe and juicy!